AlcoDigital AL5500 breathalyzer is a sleek and user-friendly unit. 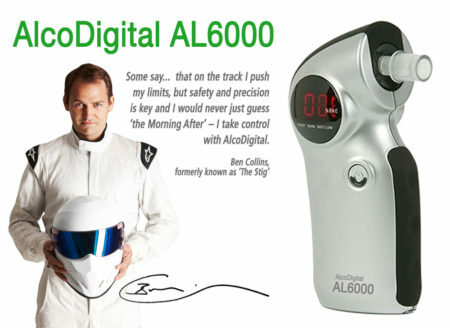 The AL5500 is futuristic, compact and discreet, unlike other breathalyzers. The display is clear, in a three digit display. Wait for the device to count down as it warms up, then provide a steady breath sample and receive your results in seconds. Slim, light and portable. Supplied with 5 mouth pieces & instructions. Uses a smart semi-conductor sensor which can read up t0 2.00Mg/L. 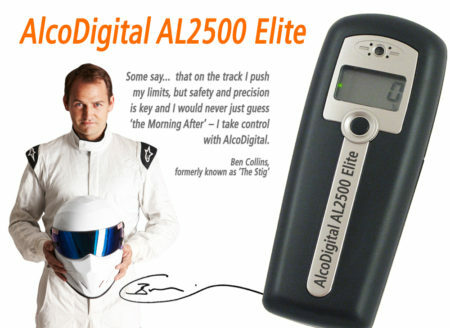 The AL5500 breathalyzer has the smartest looking design on the market. Its ergonomical design makes it easy to carry around so you don’t forget to take it the times most needed. When will I know if I am safe to drive? With one steady breath sample your reading will be displayed within moments on the smart screen. Instructions come with the breathalyzer highlighting what the limit in England/Wales/N.I and Scotland would be for this unit. With this you can then see if you are under or over the legal limit. But remember, the only safe limit to drive on is zero! 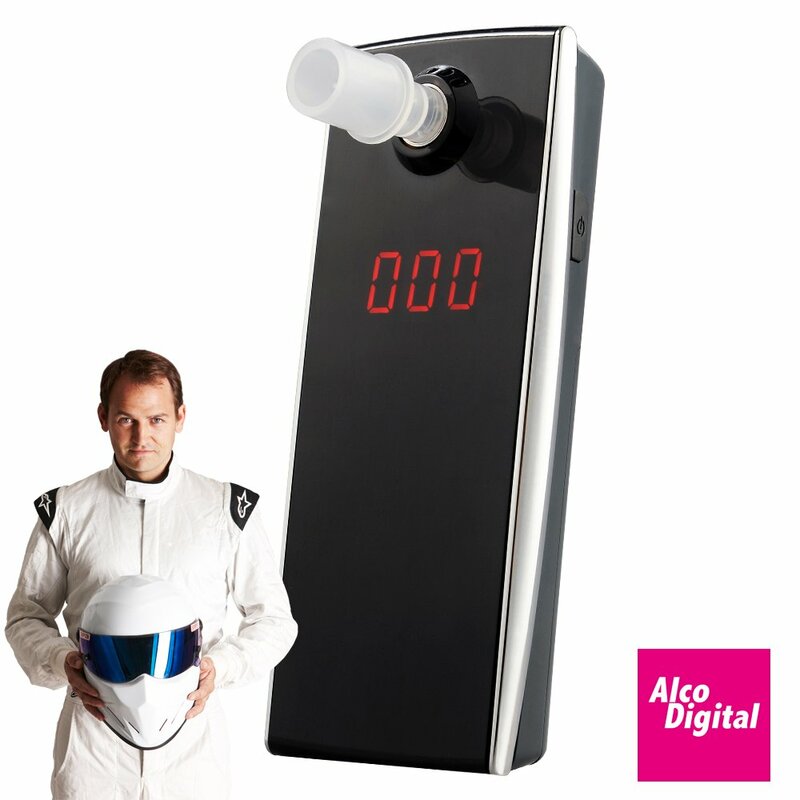 This semi conductor sensor measures your alcohol level in Milligrams per Litre of Breath (Mg/L). The limit in England and Wales is 0.35mg/l and in Scotland is 0.22mg/l. 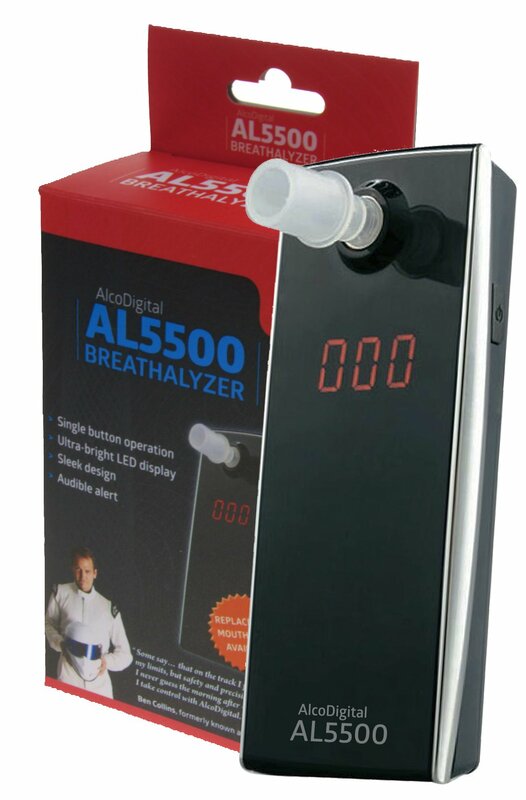 Any alcohol in your breath sample produces an electrical charge as it reaches the sensor. This produces a level that is converted into an alcohol reading, displayed on your screen. For the most accurate reading, we recommend you have finished consumption of alcohol, food, smoke etc 20 minutes before you provide a breath sample. 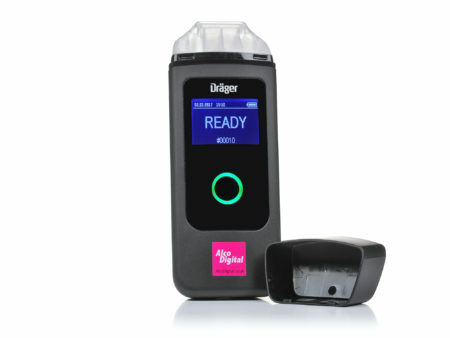 Not only will this give you a more accurate reading, but also you will protect the life of the breathalyzer. Is there a limit to how many drinks I can have till I am over the limit? This will not only vary person to person but also day to day for you. 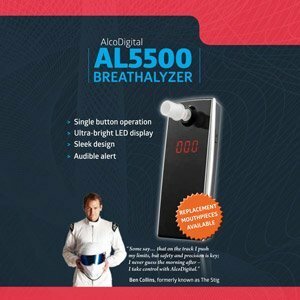 Since it is not safe to drive with any alcohol in your system the breathalyzer is better used for noting once all the alcohol has left your system. 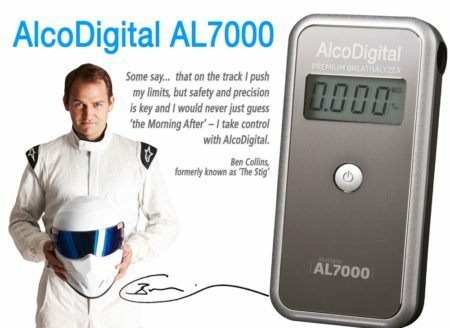 This will vary day to day too so having a breathalyzer is the only way to be more sure. 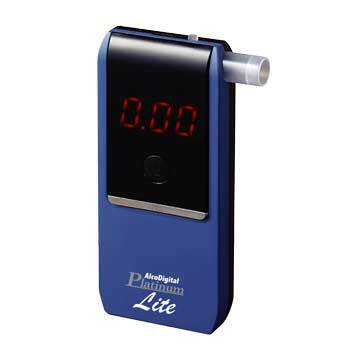 This device is great for sharing with your friends to see how different people tolerate and process alcohol. 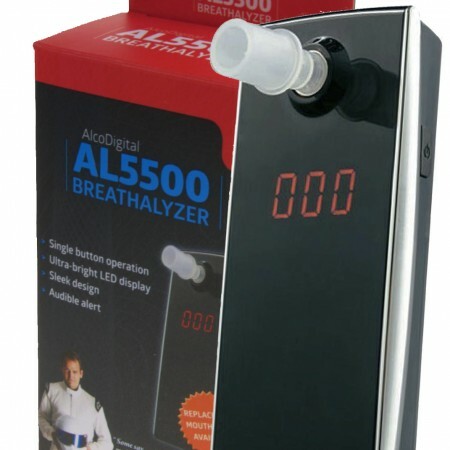 The AL5500 breathalyzer comes with five spare mouthpieces which are re-usable and can be washed in water. In addition you can add a straw into the mouthpiece so that you can use one mouthpiece on multiple people. If you forget your mouthpiece, you can always blow directly into the sample port and the breathalyzer will still produce a reading, but please note, this is not as accurate as using a mouthpiece. 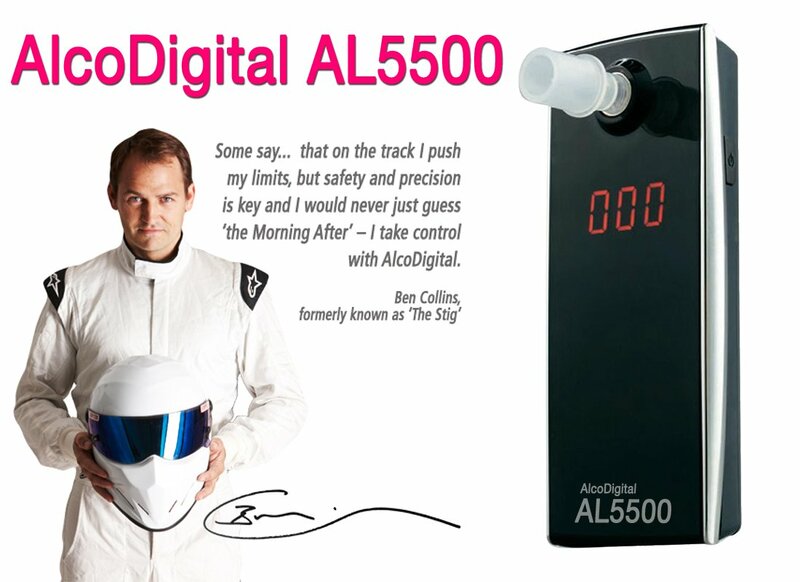 When turning on the AL5500 the first number you will see is the number of tests performed on the device. As the unit needs calibrating every 12 months or 500 tests (whichever comes first) this will help to monitor that. The AL5500 will power off when not used, thus helping extend the battery life. No need to worry if you provide a quick test before you fall asleep after a night out.